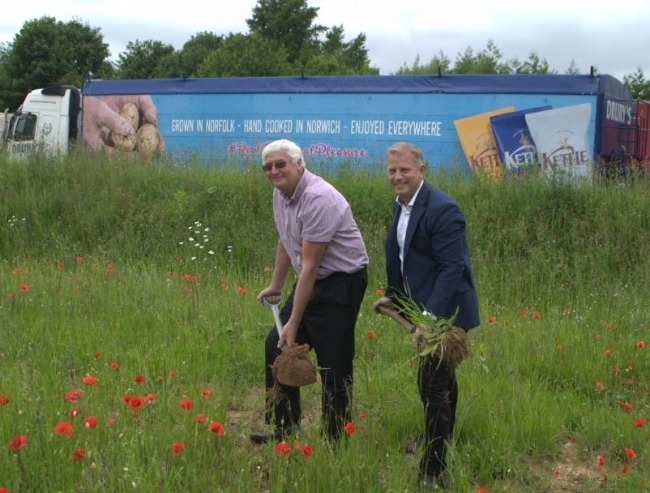 Kettle Foods, who are celebrating their 30th birthday in the UK this year, has announced a £2.7m investment at its Norwich site to develop a new potato intake building. £1.7m is being funded by Kettle Foods, with the full support of their new parent company Campbell’s, and almost £1m is being grant-funded through the Growth Programme of the Rural Development Programme for England, provided by the European Agricultural Fund for Rural Development (EAFRD). This is the biggest investment since the site was expanded in 2011. The new project will enable the relocation and upgrade of Kettle Foods’ entire potato reception process to a new building on spare land adjacent to the existing factory. The company owns the freehold of the site and as such has considerable space available both for this development and further expansion in the future. One major advantage is that the new facility will be designed and built with almost no interruption to current manufacturing. The nature of the potato intake operation lends itself well to a new remote location situated away from the rest of the factory, giving the benefits of separating an agricultural process whilst freeing up internal manufacturing space for new development. The project comprises a new intake and grading building that includes a bulk trailer bay suitable for housing eight articulated potato trailers. New potato grading equipment will be installed to remove soil, stones and small potatoes, along with a barrel washing machine that cleans the potatoes delivered to site. A water flume system will then transport the checked and washed potatoes to the factory for the next stage in their journey to becoming crisps. Sampling and lab services will be conducted in the new building by a team from the Kettle Growers Group who are involved with sampling, testing, and inspecting the crop to maintain high quality standards during the growing, harvesting and storage cycle. 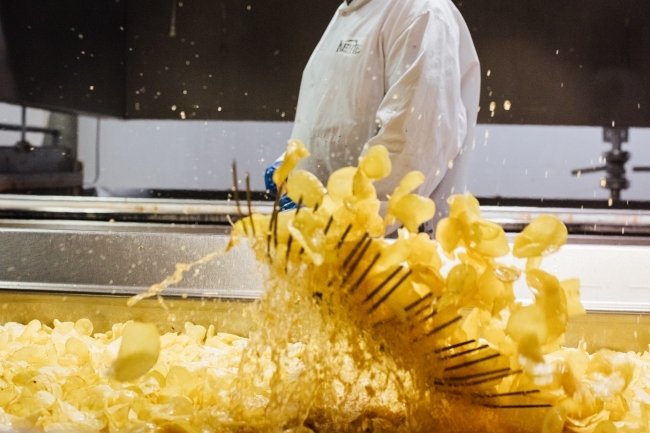 KETTLE is the UK’s leading hand-cooked crisp brand that has been processing potatoes in Norwich for 30 years and for 25 years at the current site in Bowthorpe on the western side of the city. It has a proud history of supporting local Norfolk agriculture, with the majority of its potatoes being grown within 30 miles of the factory. Over the 30 years, KETTLE has become a leading premium food brand, currently worth almost £100m at retail, available through major grocery and impulse customers both in the UK and over 25 countries internationally. The company employs around 450 people but many more jobs are supported in the associated supply chain, through the growing and procurement of around 55,000 tonnes of local potatoes and the onward distribution of products to customers. Kettle Foods says it is optimistic and confident about its’ future, with this project helping to make it more sustainable, embedding its roots firmly in Norwich for the long term.